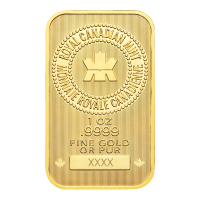 This is the first of six coins in the Wild Canada privy mark series. 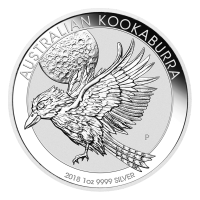 Each coin will feature one of the animals from the original bullion Wildlife series, released in the same order as the originals.. 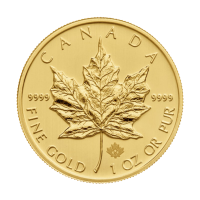 These coins are minted in a beautiful reverse proof style, with the field being frosted while the maple leaf, privy mark and lettering are shiny. 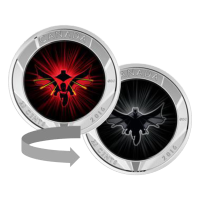 Each release in the series will be limited to mintage of only 50000. 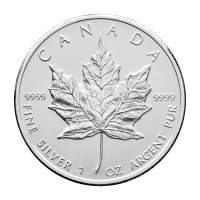 The reverse features a design by Canadian Artist Pierre Leduc of the profile of a howling wolf. The central feature of the image is the intricately detailed profile of the head of a wolf, its muzzle piercing the sky and its mouth open in the iconic howling pose. The wolf's howl demonstrates the complex social structure and sophistication that intrigue scientists and wildlife enthusiasts alike. Wolves travel and live in packs of 4 to 12 and are highly territorial, the same pack often controlling hundreds of square miles. Howling is the pack's way of communicating both danger and summoning other members. 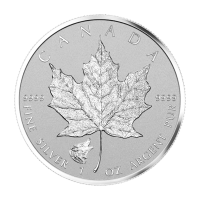 A favourite of investors, the Canadian Maple Leaf Silver Coin has been minted by the Royal Canadian Mint in limited quantity and issued annually since 1988. You can be confident that you are protecting your savings in a prudent fashion. 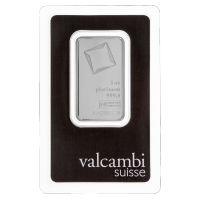 These coins will always be in demand thanks to their limited mintage, and will prove to be a highly liquid inflation hedge. 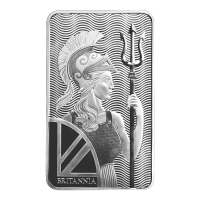 وجه العملة تمثال الملكة إليزابيث الثانية وعبارة "Elizabeth II 5 Dollars 2016"
ظهر العملة ورقة القيقب مع علامة على شكل ذئب يعوي وعبارة "Canada 9999 Fine Silver 1 oz Argent Pur"
تمثال الملكة إليزابيث الثانية وعبارة "Elizabeth II 5 Dollars 2016"
ورقة القيقب مع علامة على شكل ذئب يعوي وعبارة "Canada 9999 Fine Silver 1 oz Argent Pur"